Feeling not so shiny? Is your favorite outfit lacking a certain something? Want to express your love of flames or glowsticks? The Mysterious Leprechaun has discovered a way to imbue an aura into your favorite body (chest) armor piece! These auras can be applied to chest armor items. Aura can be applied to Vanity Costumes, but the aura will be lost if that item is used for transmogrification. 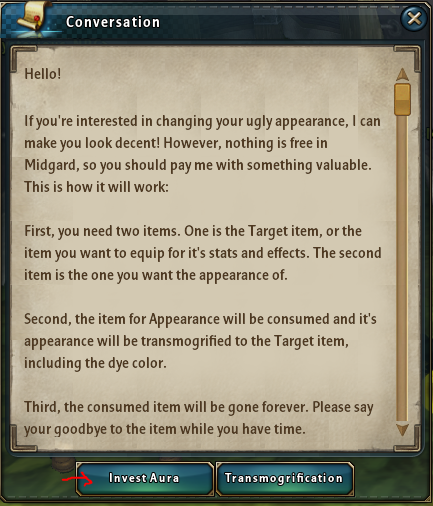 Transmogrify Vanity Costumes onto your target item before using the aura item. 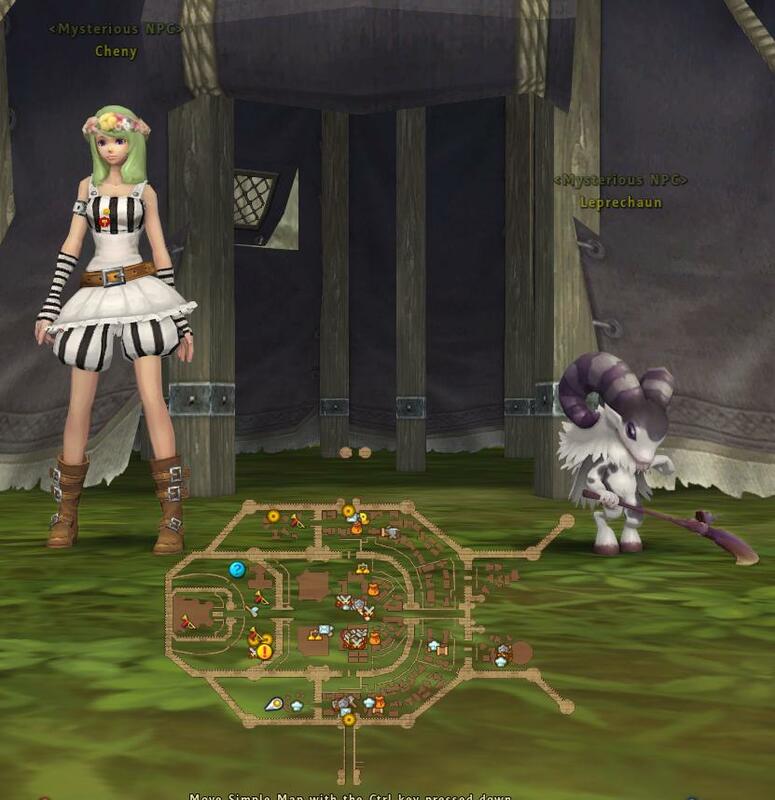 Vanity Costumes, such as the Black Magic Master set, can be obtained through Cheny using Diamonds or the Vanity Merchant using Piece of Loki's Vanity. 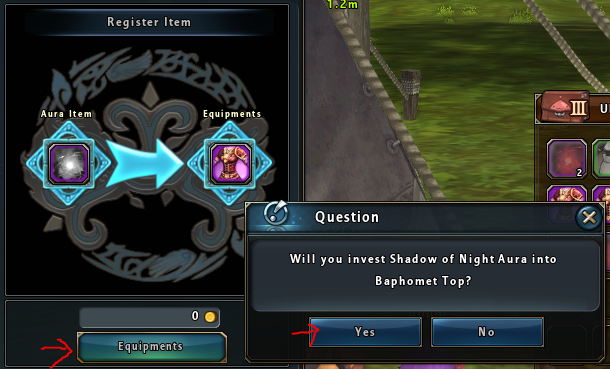 Step 2: Talk to the NPC and click "Invest Aura". 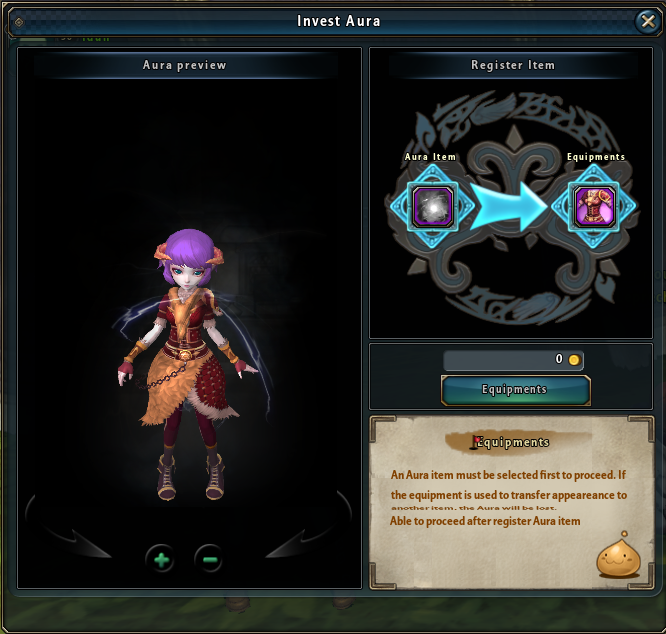 Step 3: Place the aura item you would like to use into the "Aura Item" slot, then place the equipment to which you would like to apply the aura into the "Equipments" slot. Step 4: Click the "Equipments" button. At this time there is no zeny cost for applying auras. Confirm you would like to apply the aura in the confirmation window. - Collect Piece of Loki's Aura (300) and visit the Loki Merchant to purchase the aura of your choice. - Collect Piece of Loki's Aura (100) and visit Cheny to purchase the Black Magic Aura item. This item will be sold for a limited time, and will allow you to obtain one of the three types of auras at random. - If you receive an aura you don't want, use Magic Wrapper item, sold by Cheny, to receive a new Black Magic Aura item. - Piece of Loki's Aura can be acquired from Episode 3 Dungeon and as event rewards such as Loki's Cube in the Lunar Festival. - Piece of Loki's Aura, Piece of Loki's Vanity, Piece of Loki's Dress can be obtained through the Cheny's Sunshine Box item, Cheny NPC. - Using Magic Wrapper on the Vanity Costumes will break down the unwanted piece into Piece of Loki's Vanity. Using Magic Wrapper on the 5-Piece Costumes (ie: Kafra set) will break down the unwanted piece into Piece of Loki's Dress. 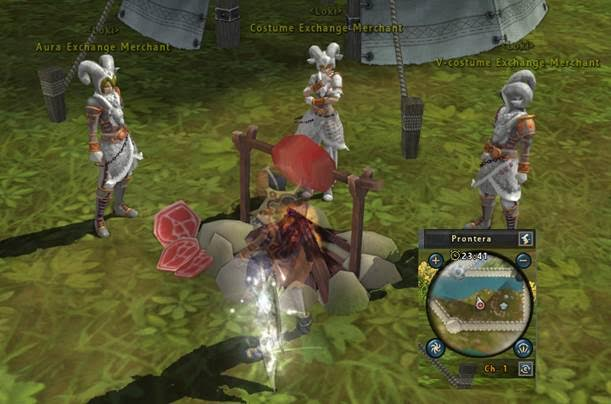 Loki's Fanclub has assembled near Cheny and Leprechaun NPCs in Southwest Prontera. These Loki vendors have auras, costumes, and Vanity Costumes (V-Costumes) to trade you in return for pieces of their favorite deity. Aura Merchant: Sells each of the three new types of aura for 300 Piece of Loki's Aura each. Costume Merchant: Currently selling Baphomet and Kafra costume items for 80 Piece of Loki's Dress each. Vanity Merchant: Selling Vanity Costumes (used for transmogrification) for 80 Piece of Loki's Vanity each. Please Note: Auras can be applied to Vanity Costume items, but these auras will be lost during the transmogrification process. If you would like to apply an aura to a Vanity Costume image, first transmogrify that image onto the target armor that you wish to use, then apply the aura. If you transmogrify the item again, the aura will be lost. Auras can be changed. Applying a new aura will overwrite the previous aura.